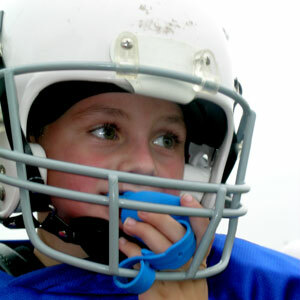 Protect your teeth, lips and tongue from injury during sport with a custom-created mouthguard from Shine Dentists. Made from a plastic material called ethylene vinyl acetate (EVA), it’s strong, tough and can be precisely moulded to suit your gums and teeth. Since it provides some cushion, it can also safeguard damage to your jaw, neck and brain. One of our dentists will take impressions of your dentition to create the perfect fit. A simple procedure, upper and lower moulds are taken that are then sent on to a dental laboratory, where the mouthguard is fabricated. Mouthguards may need replacing over time. We recommend that you bring it to your routine visits so that we can check it for any wear and tear. Schedule your appointment today! We offer convenient weekend appointments on Saturdays and Sundays.